Researchers at Sheba have published a new study that indicates a drug could function as a contraceptive without dangerous side effects for women who are unable to use hormonal contraception. 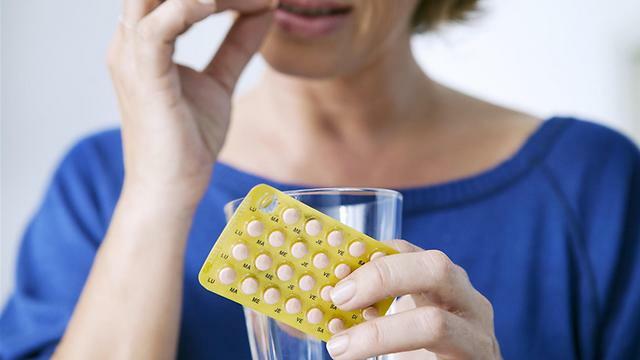 A new study by a team from Sheba Medical Center at Tel Hashomer is likely to lead to an exciting new development: a birth control pill that does not cause any side effects. The study was performed by Prof. Ariel Horowitz, manager of Sheba’s Fertility Laboratory, Dr. Gil Yerushalmi, Dr. Yuval Yung, and Svetlana Markman. It was published in the medical journal Science Translational Medicine. The researchers attempted to find a way to improve in vitro fertilization. In the course of their research, they identified several genes. One of them changes during ovulation and creates a pathway for prostaglandins (material that aids uterine contractions and helps in preparing for childbirth). Afterwards, the researchers performed an experiment on lab mice. Those injected with a drug to block the prostaglandins pathway did not experience ovulation, compared with the control group that continued to ovulate normally. In the next stage of their research, Horowitz et al intend to perform a similar experiment on human subjects. If they are successful, they will attempt to develop a birth control pill containing the injected drug. It is unique in that it does not include hormones that may damage women’s bodies. Birth control pills on the market today include hormonal material such as estrogen and progesterone, the consumption of which can cause blood clotting. This can lead to brain thromboses, pulmonary embolisms, and, in extreme cases, death. The researchers said that the result of their research is likely to also help improve the treatment of women undergoing in vitro fertilization.